Virgin Islands National Park is located on the island of St. John in the eastern caribbean. I was there only briefly but was able to explore a bit around the Trunk Bay area. Trunk Bay is the best beach and tropical area I have visited. There is only one other place that comes close and that is the black sand beaches in Waipio valley on the big Island of Hawaii. 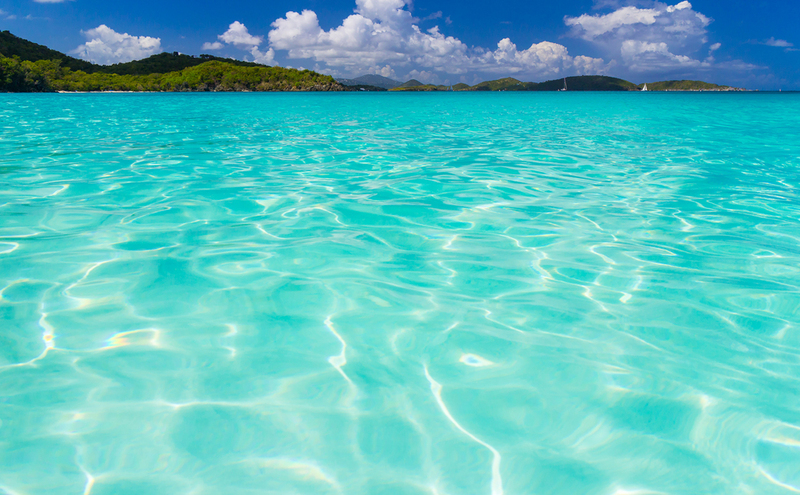 Trunk Bay has postcard worthy scenery with sugar sand beaches and crystal clear turquoise water. During tourist season it's pretty busy but my friends and I didn't have any trouble finding a spot on the beach. The park has an underwater snorkel trail that is home to various tropical fish and other ocean creatures. 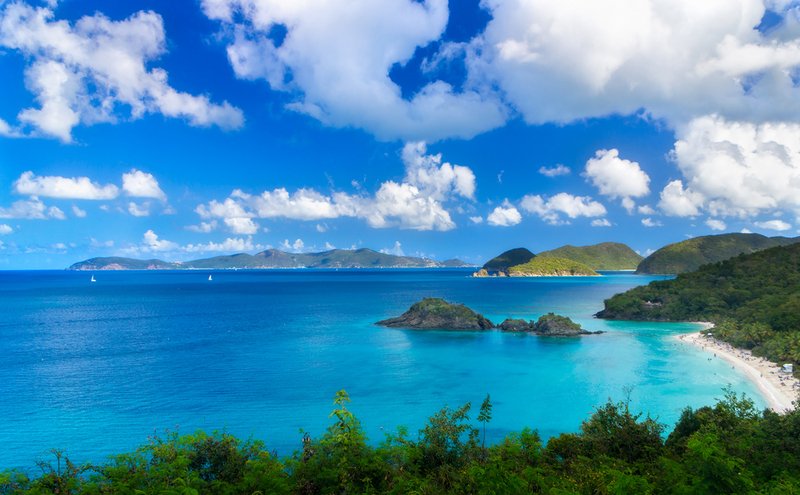 Besides Trunk Bay, Virgin Islands National Park is home to many ruins and historical sites dating back to 840 BC. St. John is an island full of history and beauty and a place I am eager to visit again. Like I said I didn't get a chance to explore much so if you have any great locations to share please do. I need suggestions for the next time I am able to visit. Here are a few images I made of Trunk Bay. On the way to Trunk Bay there are several overlooks. This is one of the most popular ones overlooking the bay and beach. This is at trunk bay just off the main beach. I waded up to about chest height and snapped this picture. The water is really that color and when the sun shines through the clouds the ripples of the water really pop!